Memorial to Holocaust victims in Plock vandalized, swastikas painted on fence of town's Jewish cemetery. A memorial to the Holocaust victims of a central Polish town was vandalized, and swastikas were painted on the fence of its Jewish cemetery, JTA reported on Wednesday. The vandalism was discovered on Monday, the report said. Police in Plock were notified by passersby of the vandalism, which included the phrase “F*** the Jews,” according to local news reports. The following day, Plock residents gathered to clean up the cemetery, which also was filled with garbage and overgrowth, and paint over the anti-Semitic graffiti. It is not known when the vandalism took place. Vandalizing a cemetery is punishable by a fine in Poland. If the vandalism also is classified as incitement to racial hatred, the punishment could include up to two years in jail. There is no Jewish community in Plock. 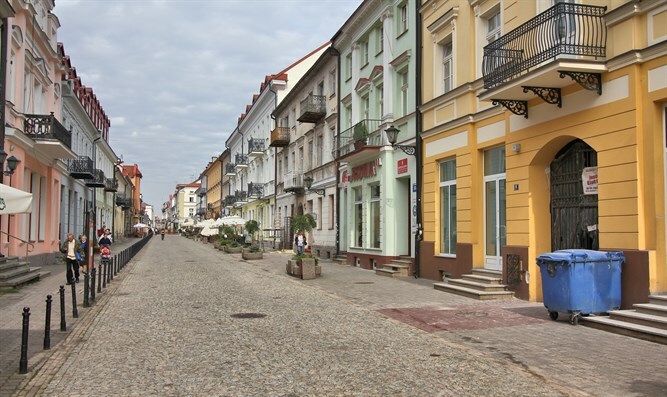 Before World War II, several thousand Jews lived there, but the Germans liquidated the ghetto in 1941 and the Jews were moved to ghettos and Nazi camps elsewhere. In 1959, only three Jews remained. Earlier this year, an Israeli teenager admitted to vandalizing a memorial at the site of the former death camp Auschwitz-Birkenau. The 19-year-old committed the act in late March and was arrested the same day. He confessed and agreed to pay a fine. Last December, a Polish court gave a suspended one-year sentence to a 17-year-old American who was caught scratching his name into the barracks at Auschwitz. In January, a Polish court jailed the organizers of a stunt that saw a dozen people take off their clothes at the death camp, before one of them slaughtered a lamb.